Juicing offers a great way to compliment therapies to any regular treatment plan and boost your immunity system while relieving other physical symptoms suffered from an existing medical condition. 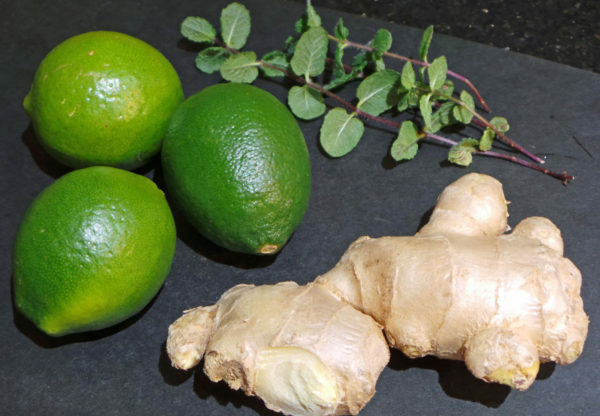 This immunity boosting mint ginger lime juice recipe will give you the soothing and heating properties of ginger with the cleansing benefits of limes. Emerald green limes are an excellent source of vitamin C and also promote healthy skin, bones, teeth, and hair. Limes can be kept out at room temperature where they will stay fresh for up to one week. Lime juice can be stored for later use. Pour freshly squeezed lime juice in ice cube trays and freeze. Transfer to a plastic freezer bag for later use. Wash and pull mint leaves from stem. Add to an 8 oz glass with 1/4 cup of crushed ice. 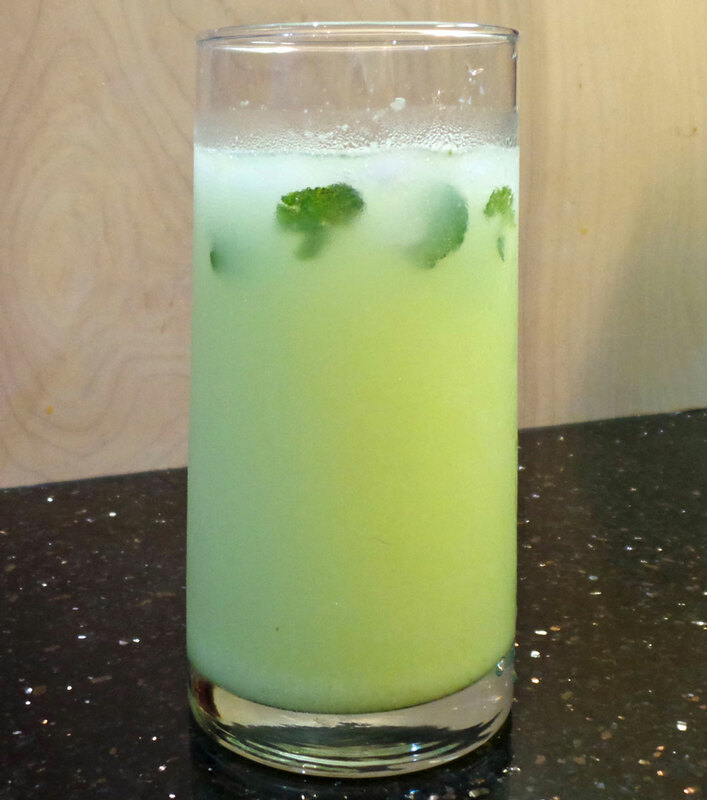 Using a bamboo cocktail muddler, crush the mint leaves into the ice helping to release its oils combining ingredients in the glass. Slice limes in half and place in the juicer for processing. Peel a one to two inch size thumb of ginger and place in juicer for processing. Pour the extracted juice in each glass. Fill the remaining glass with cold water and stir. This looks so good! I grow mint leaves in my garden during the summer, I cant wait to try this recipe out! Nicole, I use my own mint leaves from the garden too! It is very satisfying and super simple to make. Enjoy! Sounds refreshing and yummy! I can’t wait to try this! This sounds so yummy! I love putting ginger in my juices, gives them such a nice zing. Can’t wait to try this recipe! I love drinks that mix up tons of great nutrients! I am not a fan of ginger but it has some great benefits. Thank you so much for taking the time out to share this with your readers. Sounds so refreshing!!! Can’t wait to make this! This looks so refreshing. I definitely need to try this. Thanks for sharing. This looks so healthy and it’s almost like a healthy Mojito! Will definitely be making this! This sounds wonderful! Thank you for sharing the recipe. I can’t wait to make it!